I appreciate the value of a nice walk. Of course, I’d rather be riding, but as any world observer would state, slowing down helps in paying attention to the details, they are the dots we connect to realize the big picture. I’ve been traveling too fast in my journey through life. It is great to slow down, and as an added bonus, we get a good workout at the same time. The old docks waiting for new use. 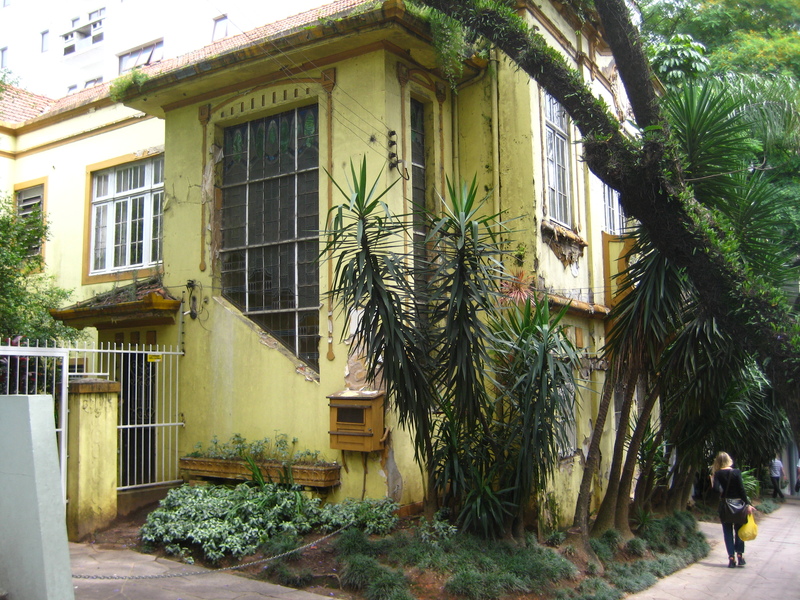 Porto Alegre, April 2011. So it has become a tradition. 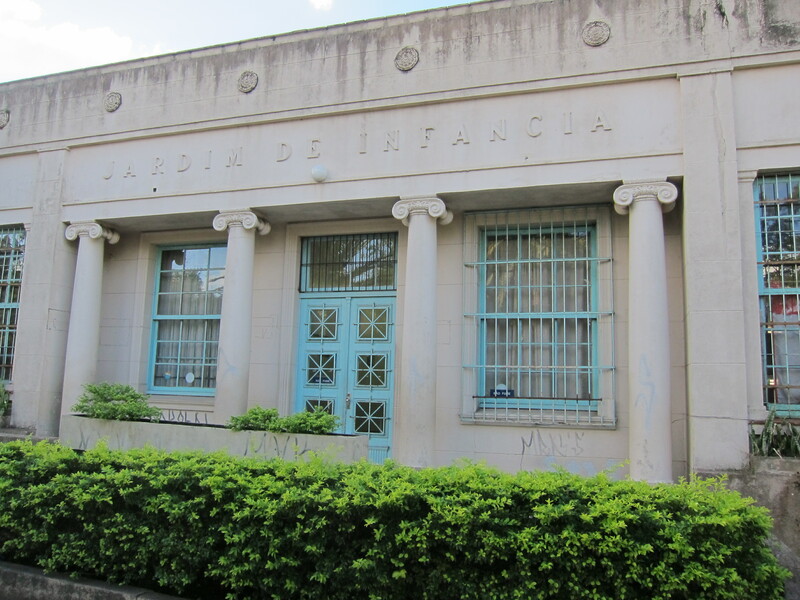 Each time I go to Porto Alegre I purposefully set aside some time for walks in the city, to see the details of neighborhoods, things that I’m likely to have forgotten, or have missed to notice in the past. 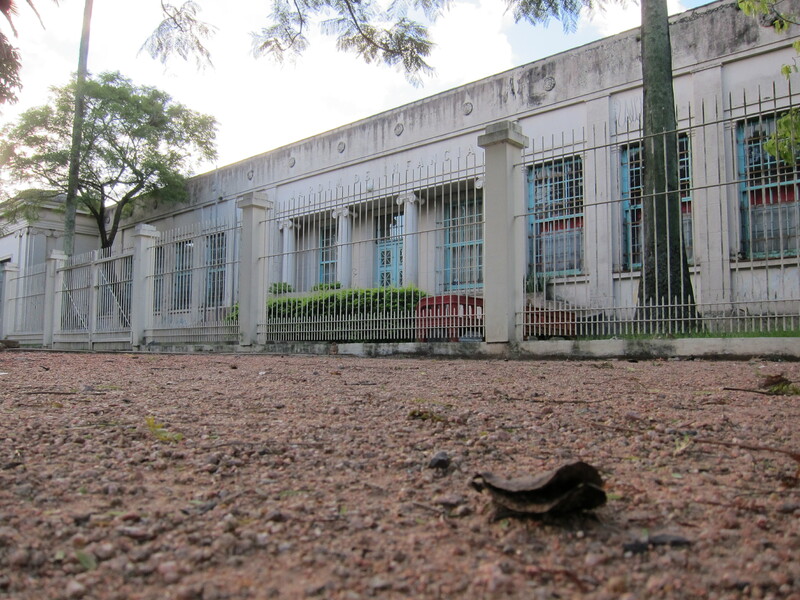 DMAE Building, Moinhos de Vento. 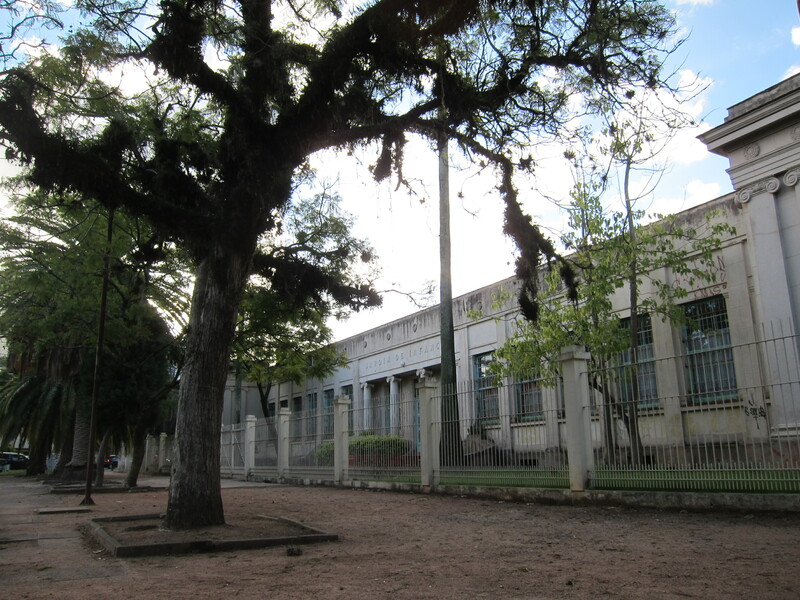 Porto Alegre, November 2009. There are always surprises to be found, old buildings and structures I did not know existed, details I’ve taken for granted and also new things to be appreciated. This time around, one step following another, no planned route, and I found myself on the way to my old kindergarten and other surrounding areas, places that were once very familiar to me. Places that later in life I’ve traveled through by car many times, but had not stopped to admire in so many years. 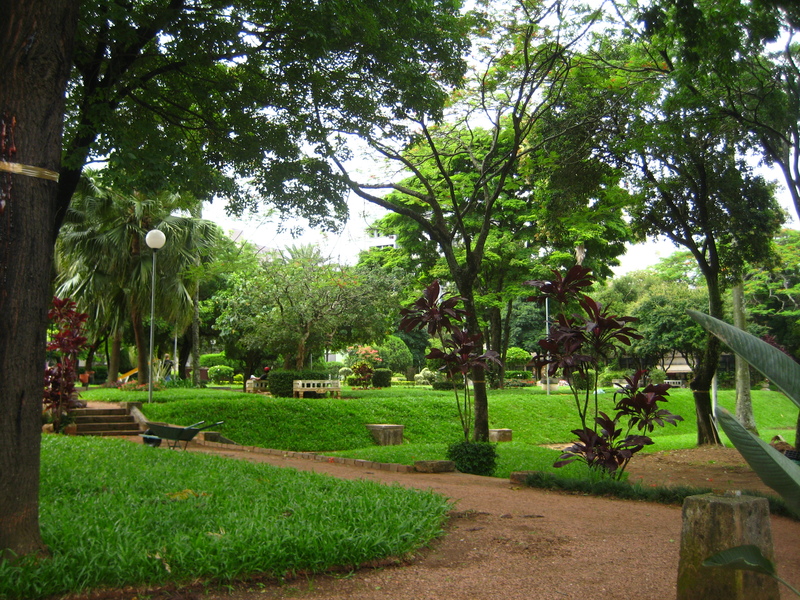 Park on DMAE grounds, Moinhos de Vento. 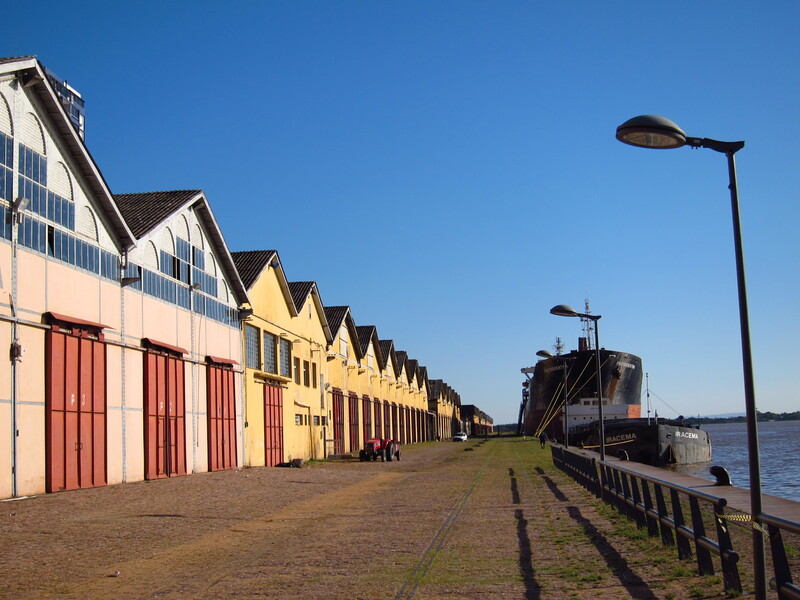 Porto Alegre, November 2009. 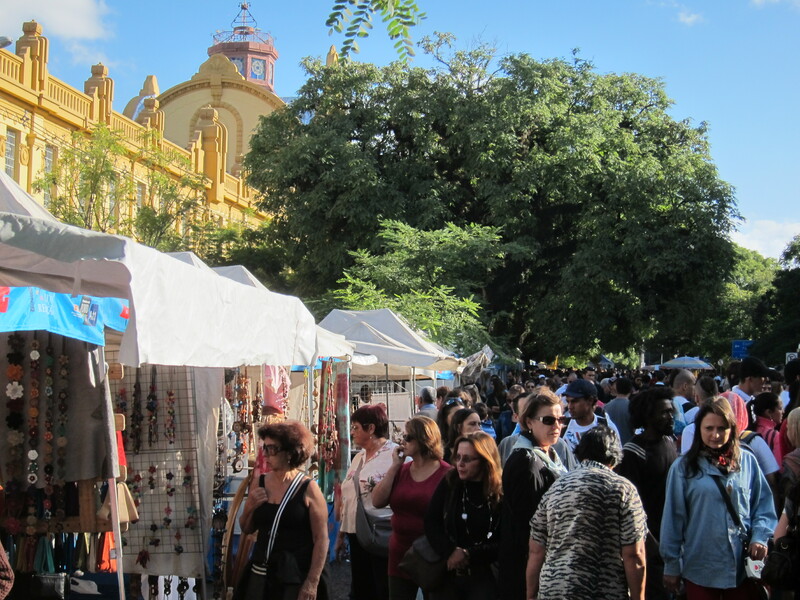 It all started when on a bright and sunny Sunday, I decided to try out the “Brique da Redenção”, a popular flee market that is set up on the same street every Sunday, in Porto Alegre. It was such a nice day, hence it was very crowded. I walked quickly through the crowd. I stopped to hear this family perform. These are the actual people who lived in this part of the world, before Europeans and Africans and now even Asians arrived to make up the nice mix that makes us Brazilians, true representatives of the world. Brazil, however, is one of the countries in South America where they native populations became the least visible. In a certain way, it is good to see them performing, although one wonder how they really live. Probably not too different a fate when compared to their North American counterparts, I believe. There is a long road for us to walk until we find a more integrated society that accounts for our varied cultures and interests. 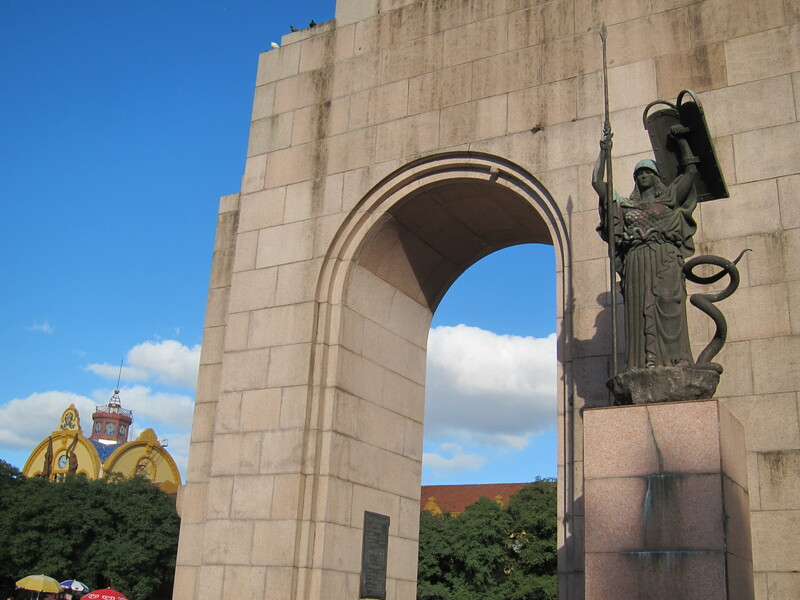 I continued walking and soon found myself on the arches that frame the main axis of the Farroupilha Park. 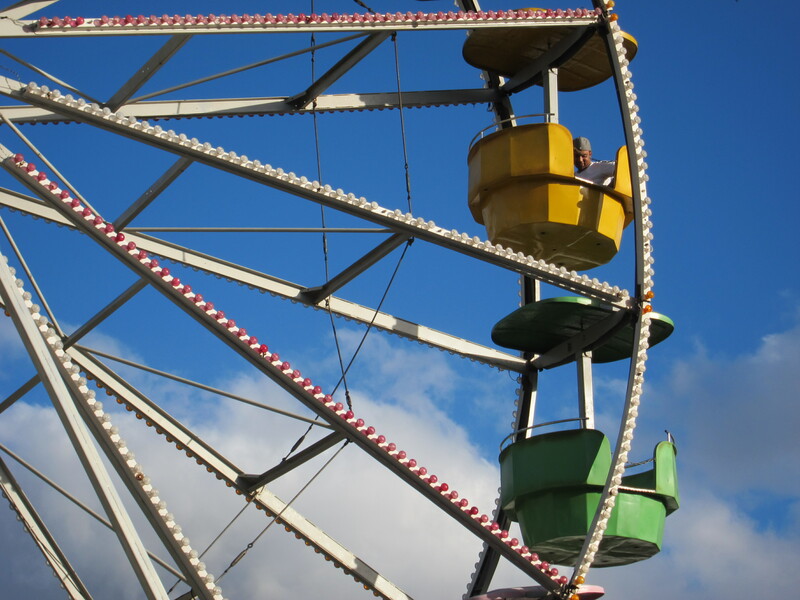 I remember being here, at a few different places in this park, as a child, with my mom and my sisters on weekdays. 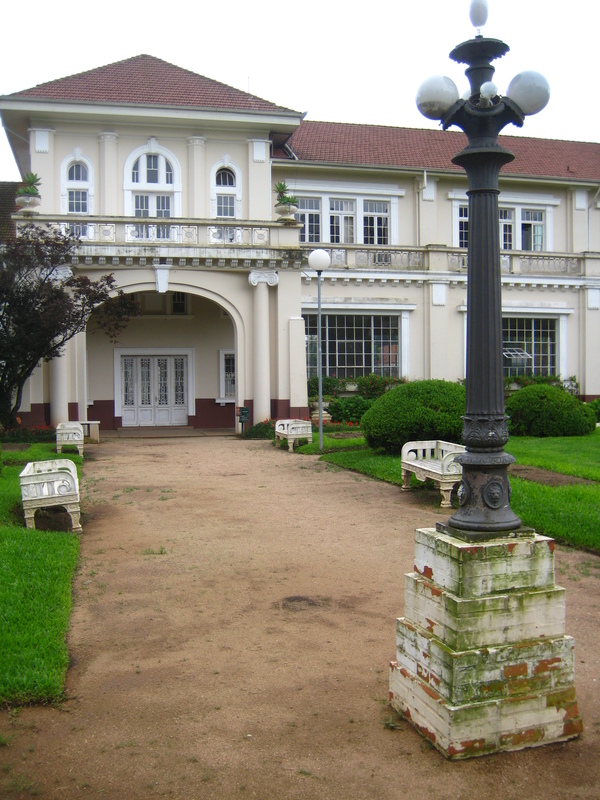 There were also picnics with the entire family on given Sundays at some places here in this park. 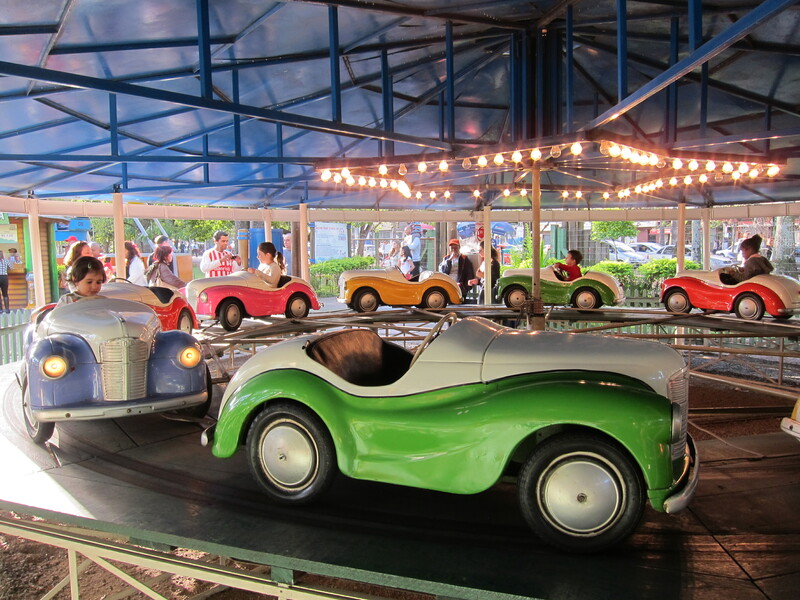 Was this park always crowded on a Sunday as it is today? We used to live in this part of town, not too far from the park. 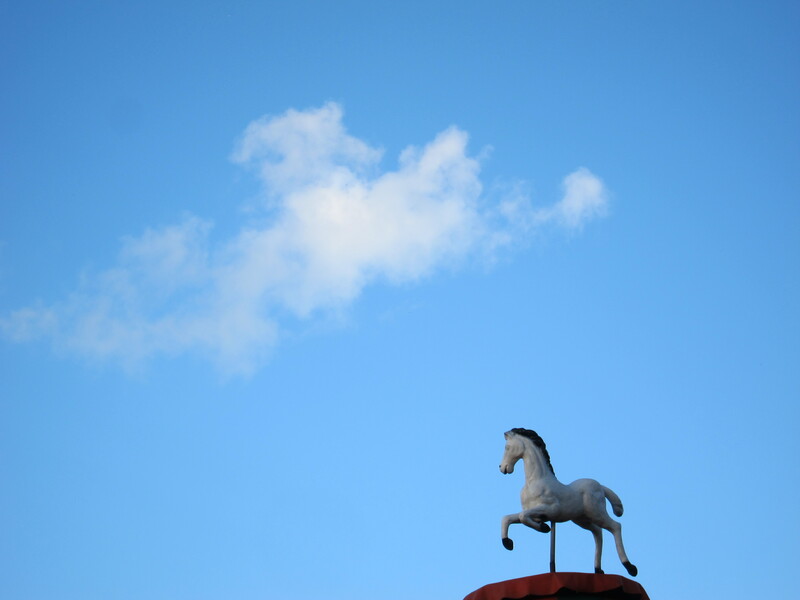 I continued to walk towards the State University. 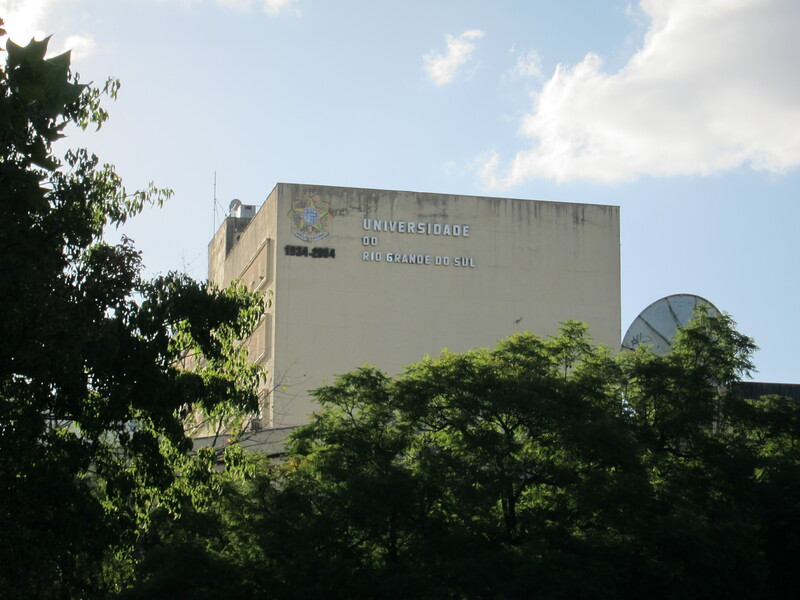 Over there, on that building (photo below), was the University Theater (Teatro da Reitoria), where I’ve seen many shows. I particularly remember the Argentinian poet and musician Atahualpa Yupanqui performing his wonderful gaucho music and poetry on guitar. His music and poetry had an Andean flavor, which mixed contextual elements of the gaucho culture with that South American socialist, revolutionary ideology, that is identified with Che Guevara. But most importantly, this theater reminds me of the Porto Alegre Symphony which played there every Sunday morning. My father took us there regularly and I learned to be quiet and only applaud at the end of a session. I remember a conductor, Izaac Karabischek and what I remember about him were his exaggerated movements. He was, later I found out, considered to be an excellent conductor and made history at the Porto Alegre’s Symphonic Orchestra (OSPA). And I remember the drum player, who parked his drum sticks under his arm pits in very mechanical, robot like movements, and stayed like that, a statue of sorts, on the sections of the music when the drums were not included. I would wait for when drums were going to be played again to see him come out of the statue mode, play the drums a few times, back to statue. The conductor’s movements, the drummer, made those Sundays more interesting. I didn’t like classical music enough to enjoy those Sunday mornings. Although it was better than going to church on a Sunday morning, I suppose. Finally, my focus turned to this building. Jardim de Infancia General Flores da Cunha, my kindergarten. I’m happy this building is still there. This is the beginning of my student career. This is where the recording of events started in my life. I remember the day I refused to stay in school when my father dropped me off and my father had to reluctantly drive me back home. He was really not happy, I remember that with detail. And the horror on my mother’s face when she saw me back home crying. I remember a girl named Deborah. 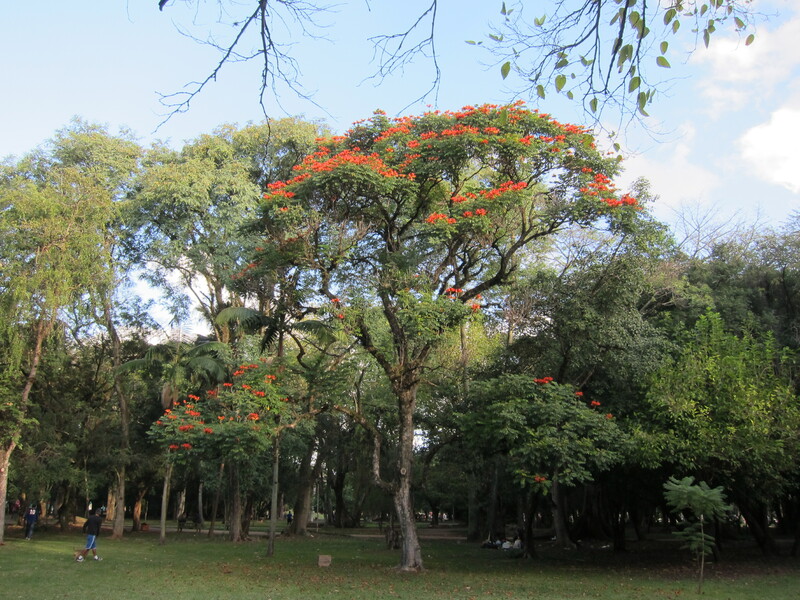 I remember the Jacarandá trees that lined the drop off and pick up parking area. One of them is still there. 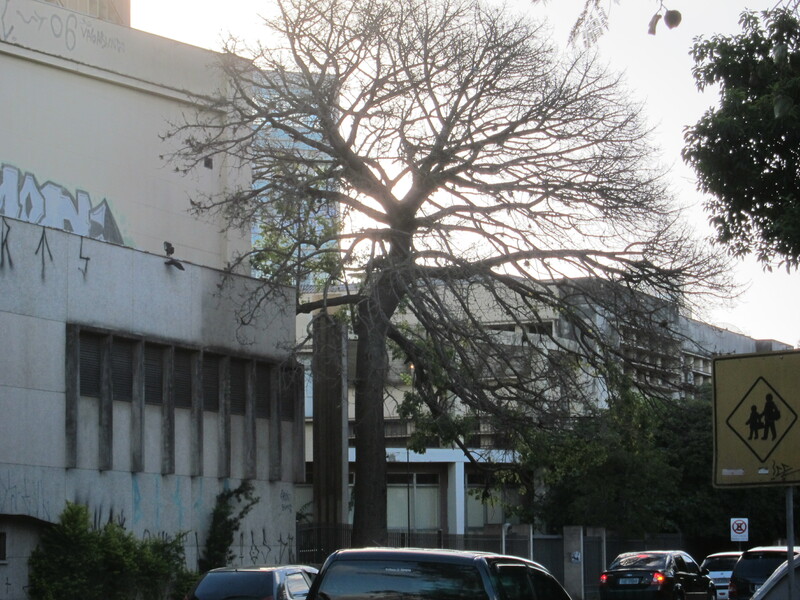 Although the tree looks worse for wear, it is still there. 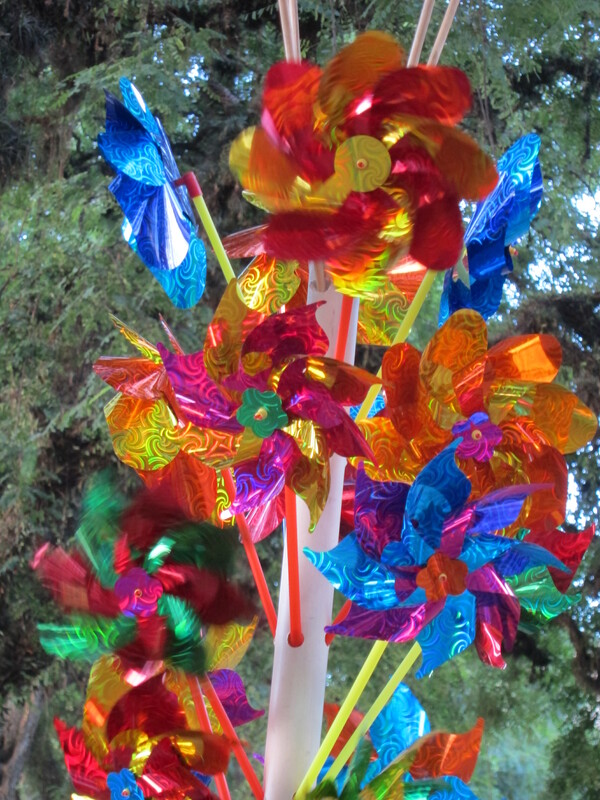 And I remember the fruits of this tree, and I found several on the ground. We called them “monkey ears” (orelha de macaco). But that fence did not exist then. Nor the graffiti on the building. One more thing I remember about this time was this drawing I made when I was 4 years old. For some reason, people thought this was special. 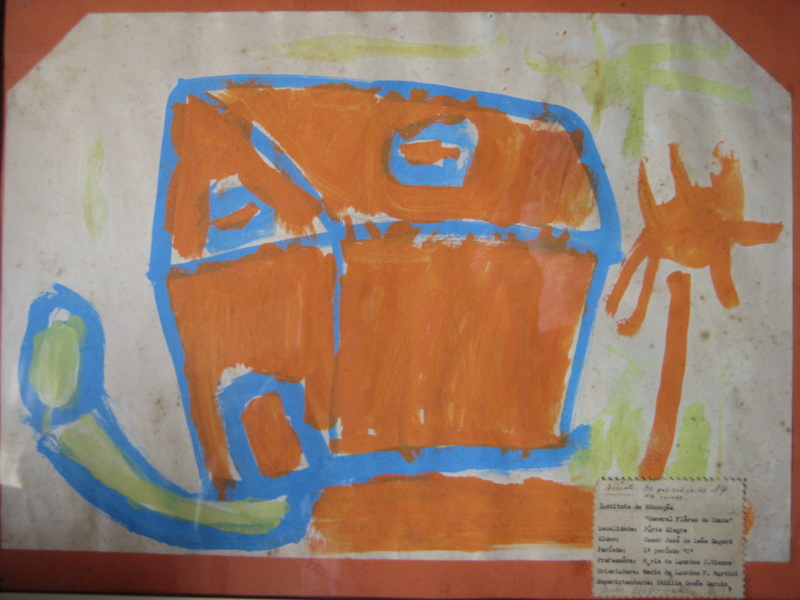 A drawing I made while in the kindergarten, when I was four years old. Perhaps it was the choice of color? Orange and blue are complementary colors. And I repeat these colors on these two bikes. 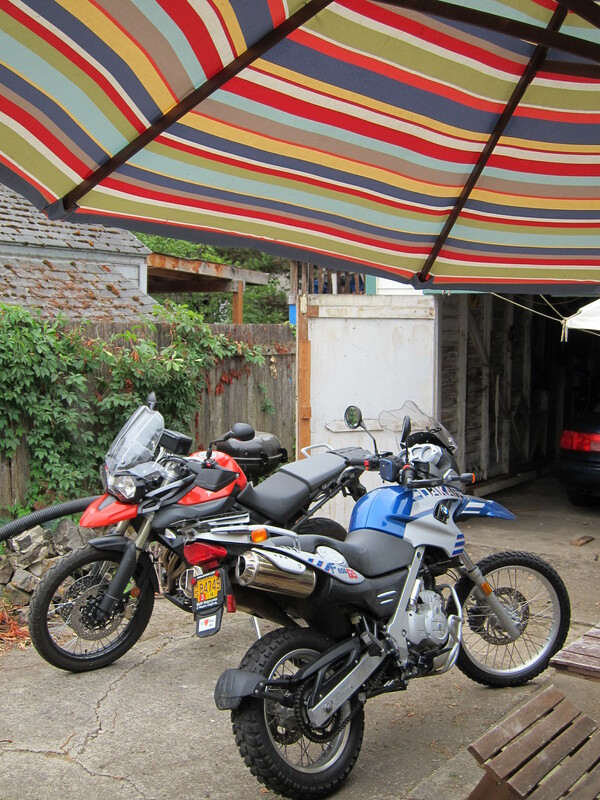 Although I just sold the BMW, I still have the blue Yamaha to compose with the Orange tiger. I still have that old talent, I suppose. Perhaps it was the house in perspective, and in a cartoonish style at that? Perhaps it was me copying what I had seen of my fathers work as a civil engineer? I do remember the yellow/blue appendix to the house, though. That was something I know can not claim for myself. I copied that from my sister Ana Lucia’s drawings. I had drawn it without knowing what it was. It was only later that I found out it was meant to be a walkway with a gate at the end. With all these good memories nicely framing my thoughts, I started walking through the park on my way back to the car that was parked closer to the beginning of the Brique da Redenção. 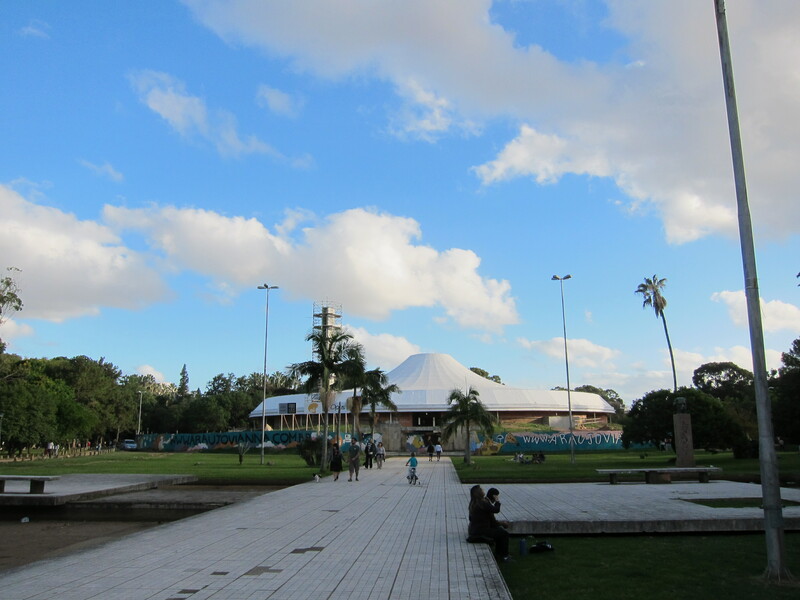 I went past the Amphitheater Araujo Vianna which unfortunately now has a roof. I wish it had stayed the way it was, an Amphitheater. What I nice structure it used to be. We had been here for presentations, I think perhaps the Porto Alegre Symphony presented there a few times. 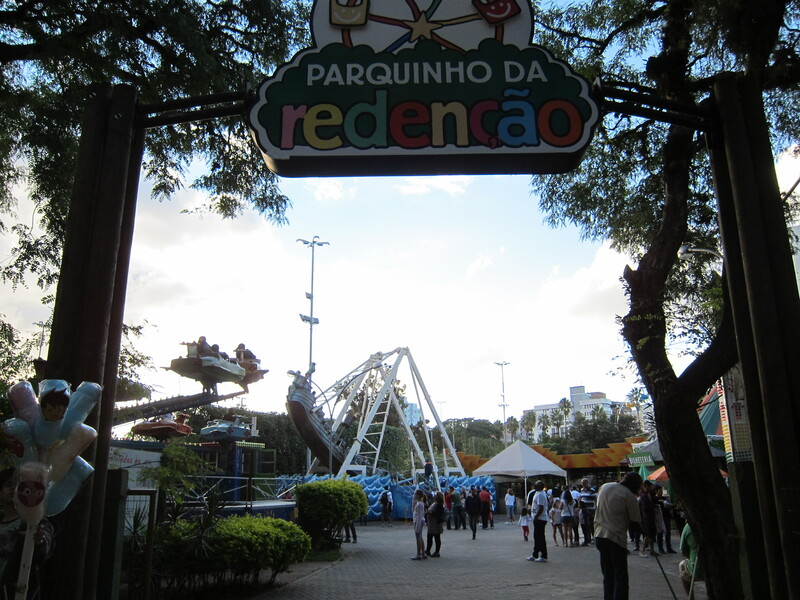 And I was wondering about the “Parquinho”, the amusement park that was right there, at that corner of the park, at the entry point for the Brique da Redenção. I realized that earlier, just an hour earlier or so, I had just walked by it and not seen it. Bu there it was, behind all the vendors. 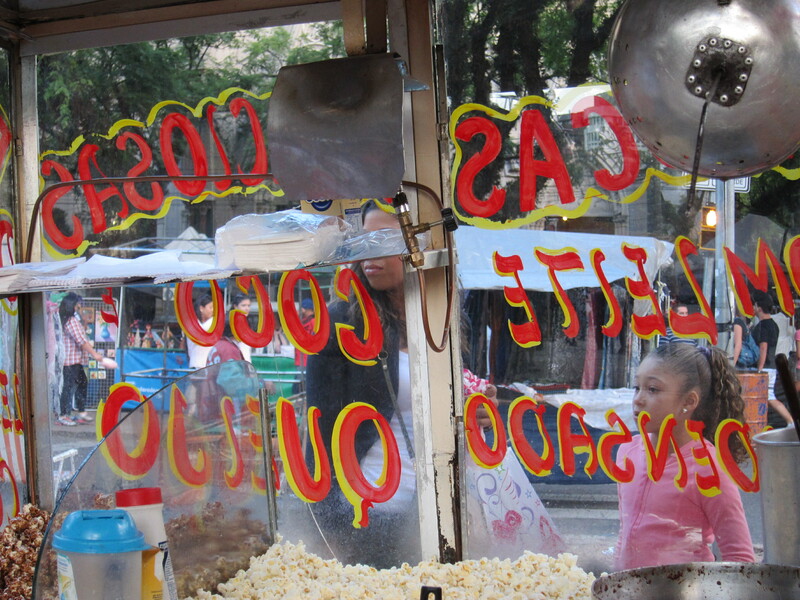 Popcorn anyone? 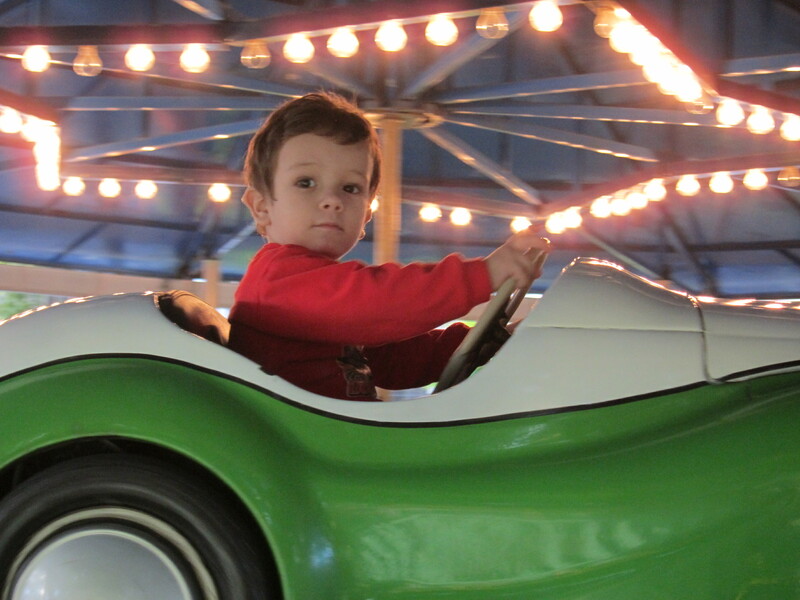 I don’t remember if these rides were all the same. 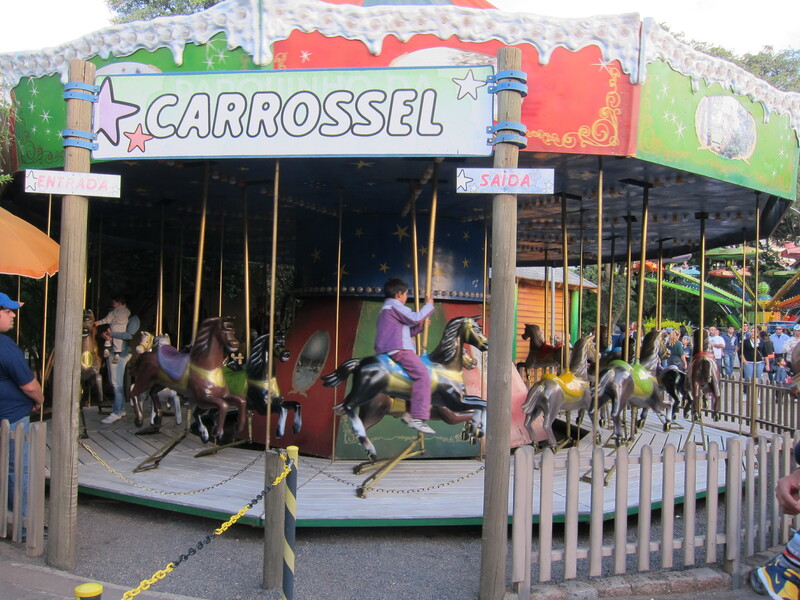 Maybe I remember a carrousel. But I do remember this one. By far my favorite. Although I thought the cars were Chevy 57’s, it is possible they were the Austins they have now. Either way, already at that time the cars were already old, from before my time. And it is really nice that they were not updated with modern cars. These old ones are nice vintage cars and this is probably very valuable today. And come to think of it, my Grandmother Maria de Lourdes had a neighbor who owned a black Austin of this vintage if I remember correctly. Nice connection. 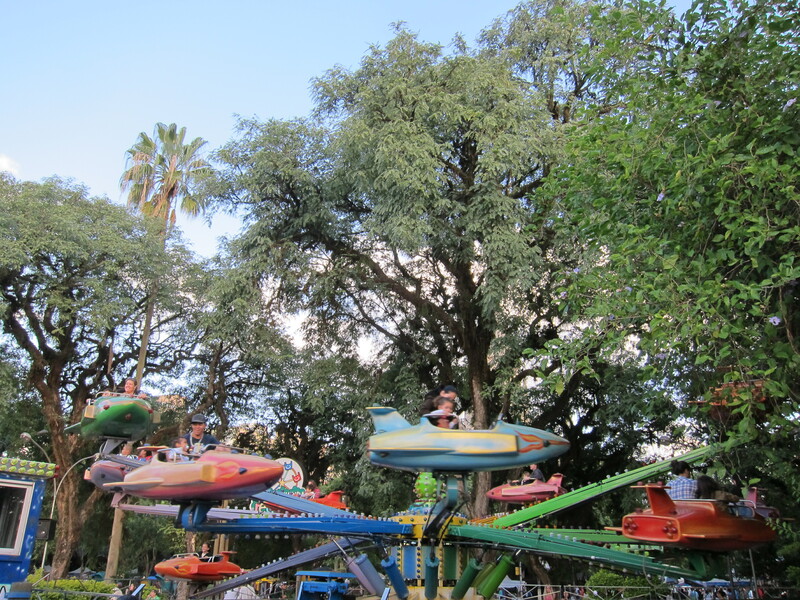 And to think one day I was this small, happy to be in this park, and full of dreams. I’m still a little kid inside, I was really happy to have made this walk down memory lane. And I still have many dreams lined up for realization. And now I can document, photograph, and write about things so anyone can read, including myself for y own records, which is an added pleasure to the list of good things I’ve acquired through life. All that fun and it all happened while I was not riding. It simply was a walk in the park. And what a nice walk it was. 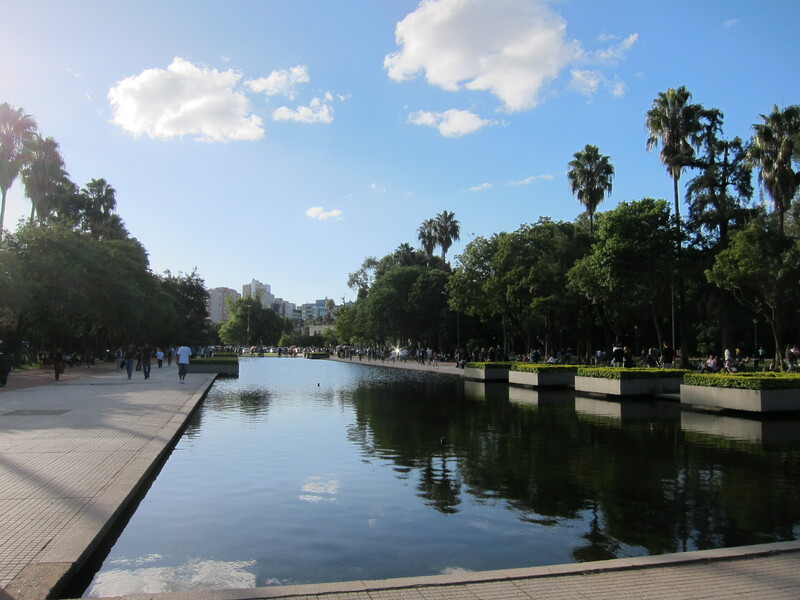 Next time I’m in Porto Alegre I will have to go back to the park, there are areas I did not visit this time. 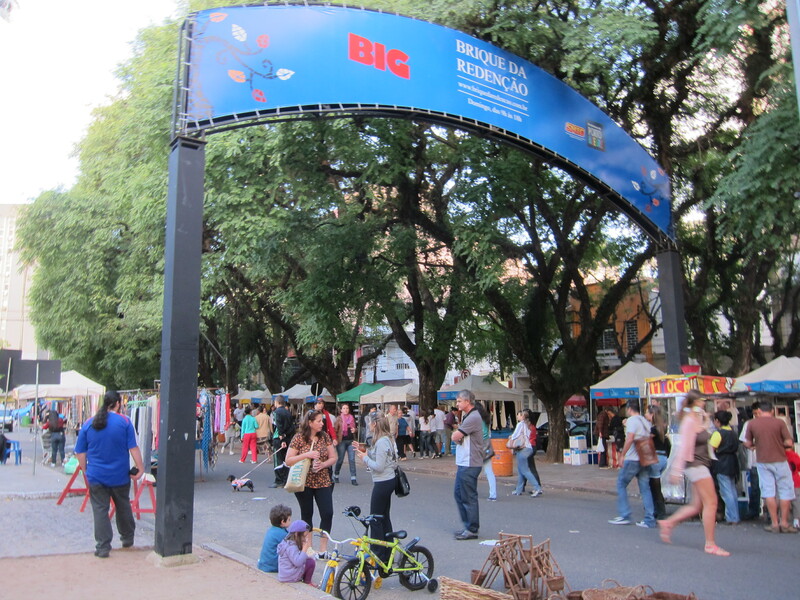 This entry was posted in Porto Alegre, The Book, Travel and tagged porto alegre. Bookmark the permalink.